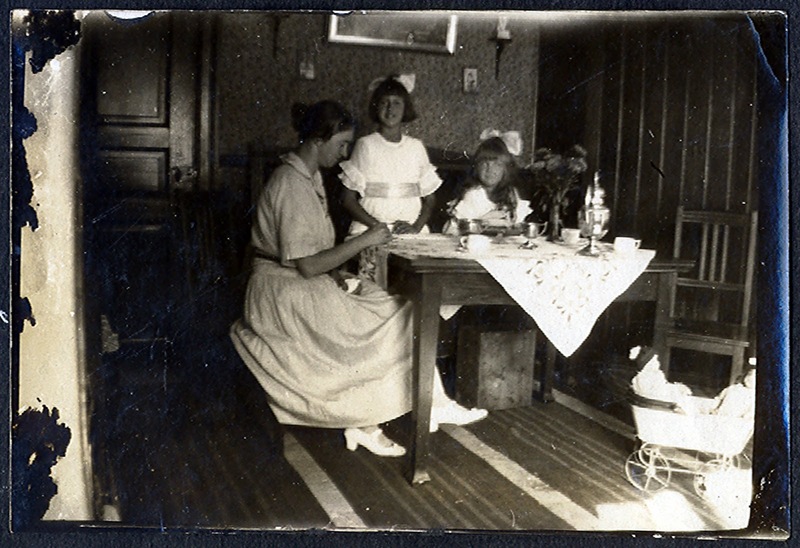 The photo looks to be from the late 19teens to the early '20s, and has lots of interesting details: the mother's vintage dress and shoes, the girls' giant hair bows, the Arts & Crafts/Mission style furniture, the silver tea set, and, in the lower right corner, a miniature baby carriage full of dolls. Plus, if you look closely under the table, you'll see a crate that was set on end for the littlest girl's feet! I love those beautiful dresses and bows.